While on a gap year in New Zealand, why not have yourself an island holiday within your holiday in the island paradise of New Caledonia?! Only a 2h30min flight from Auckland, New Caledonia is right on New Zealand’s doorstep while providing a completely different experience from life in Kiwi land. New Caledonia is a flavour of Europe – emphasis on the “flavour” as these French islands are all about the food! Yet, New Caledonia is a white-sand, crystal-clear waters paradise where relaxation is priority. Budget-wise you will find expenses in New Caledonia are more expensive than other South Pacific Islands but similar to what is found in New Zealand. Accommodation and flights will be your biggest expense, but when snorkelling, beach bathing, swimming and walking are the main attractions of New Caledonia, you can certainly keep the costs down when it comes to activities. By the way, have you checked out 5 South Pacific Islands That Are Awesome for Backpackers? Flight: Being only a 2h30min flights, the plane tickets to New Caledonia can be quite cheap, compare airlines and travel routes on Skyscanner to find yourself a good deal. Climate: Temperatures average around 27 degrees Celcius in the warm and humid season (October-March) and around 20 degrees Celcius in the cool and dry season (April-September). Visa: Passport holders of the countries, Australia, New Zealand, UK, Canada, USA and other EU countries do not require a visa for a 3-month stay. Other passport holders are advised to contact their French Embassy. Language: French is the official language. English is widely spoken. Local Malanesians also have their own dialects. Money: The local currency is French Pacific Franc (XPF). Major credit cards are widely accepted and there are plenty of ATM machines around Noumea. Electricity: Electrical appliances require a European two-pin power plug/adapter. The power supply is 220 volts 50 cycles. Transport: Noumea and surrounding suburbs are well-connected with inexpensive public bus transport. Taxis are also available. Clothing: Clothing style is casual – there are no certain set rules. Don’t forget: insect repellent and sunscreen! The capital city, Noumea, sits on New Caledonia’s largest island, Grand Terre. The whole island is generally referred to as Noumea and is where you are most likely to start your adventure in New Caledonia. Noumea is certainly where you’re going to find your most French-style holiday experience with an abundance of cafes, restaurants and markets. It’s all about food, food, food! Head to the Port Moselle Morning Market between 5am and 11am and buy the day’s fresh catch, island produce and souvenirs! Get yourself a warm pain au chocolat from any bakery. If your budget allows, treat yourself at the Latin Quarter cafes or dine out on an evening at The Baie des Citrons with plenty of restaurants to choose from. The easy way to do it would be to jump on a Gourmet Food Discover Tour. The city is scattered with museums like the Musee de Nouvelle-Caledonie, Les Musee de la Ville, Tjibaou Cultural Centre, Maritime History Museum, as well as an aquarium and zoo. For some more natural experiences in Noumea, walk to the Ouen Toro Hill lookout with panoramic views of Noumea and the surrounding island. You can also take a trip to Amedee Lighthouse, only a 30-minute journey across the waters of this lagoon perfect for swimming, snorkelling and relaxing on the beach. Take a drip to Duck Island, the small islet easily seen from Anse Vata. It’s a little piece of paradise superb for snorkelling with a colourful array of flora and fauna. Get yourself a snack from the traditional-styled snack bar when your all snorkelled out. Now that you have discovered the happening epicentre of New Caledonia in Noumea, make sure you take the time to escape to the wilderness in the Isle of Pines. Getting there is an adventure in itself with a super scenic 25-minute flight from Noumea. Make sure you have your camera ready! Once you are there, you can have a great mix of relaxing and doing (but mostly relaxing). Walk up N’ga Peak where you can get stunning vistas of the island. Take a short 20-minute walk from Le Meridien Ile Des Pins to “the natural pool” where you can snorkel, swim and relax. For more of that relaxing time, the beautiful powdery-white beaches of Kanumera and Kuto Bays are a must. Check out Kuto for swimming and Kanumera for snorkelling. A significant place that you might want to include in your sightseeing is the Our Lady of the Assumption Church, built in 1860 out of different wood from around the island. To really explore further off the beaten track, head to the Loyalty Islands – a 40-minute flight from Magenta Airport in Noumea. Travelling the distance means you’ll come to some unspoiled island paradise: quieter beaches, more wildlife and vegetation in and out of the water, and an abundance of culture. Flights leave daily between Noumea and Lifou, Mare and Ouvea. For your scenery fix, visit Lifou! It is the largest island of the group made up of immaculate beaches, dense forest and hidden caves. We recommend visiting the Villa Plantations and marvelling at the cliffs of Jokin. Mare provides a good combination of beautiful scenery and mingling with the locals. It is the southernmost island group of New Caledonia with breathtaking landscapes of towering cliffs, rugged coastline and natural swimming holes. Cengeite and Wabao beaches are a great place to relax, while the Village of La Roche is where you can mix with locals. For pure escapism and relaxation, visit Ouvea. It is known as “The island closest to paradise” with its beaches made up of white sand-like powder to sink your toes into and crystal-clear waters. Fayaoue is a 25km beach lined with coconut trees: a serene place to spend the day. You may also want to check out the famous church at Saint-Joseph with spectacular wooden ceilings likened to a baby’s cradle. Explore more of the SOuth Pacific! 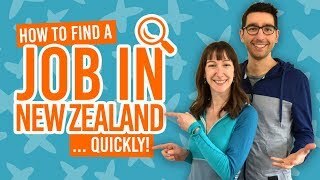 Check out these other South Pacific destinations to visit during or after your gap year in New Zealand. Budget accommodation is much harder to come by in New Caledonia than it is in New Zealand. There is one hostel in Noumea, but book way in advance. 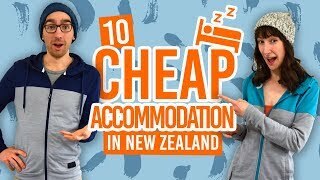 Other accommodation options include more “budget” resorts and holiday house rentals.